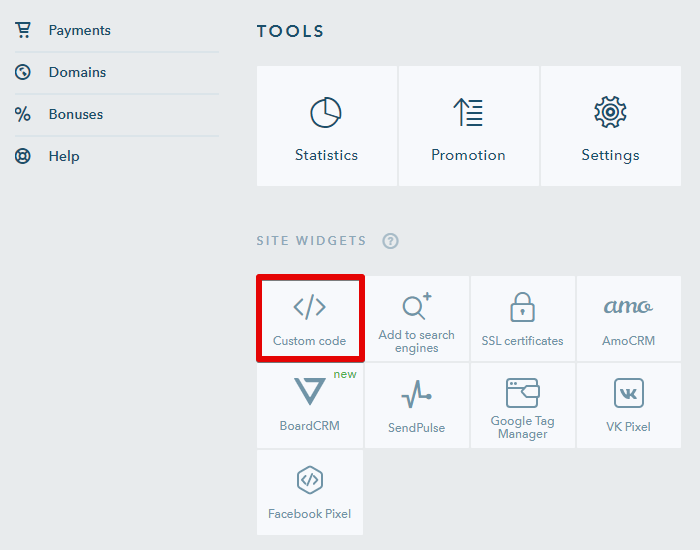 Adding custom HTML code is available to Pro subscribers only. 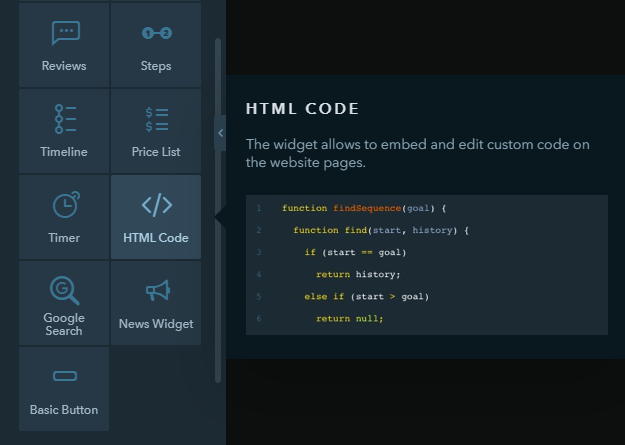 This option is meant for web professionals who need advanced features and have a good understanding of how to use them. 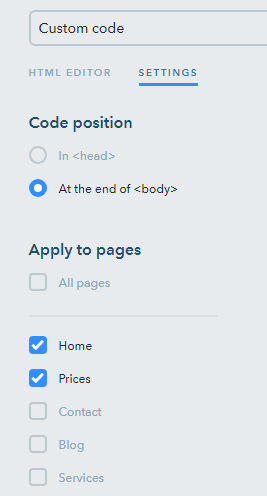 In the settings you can choose pages where the code will be added and its position on a particular page. You need to publish the website to get the changes applied.